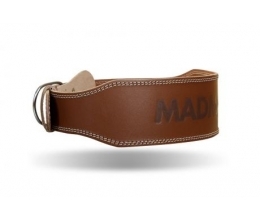 Simple black leather belt, whose main goal is uncompromising functionality and reliability. 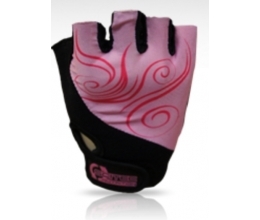 The upper layer is made from 5mm high quality leather. The inner part is formed from a fine Amara material. 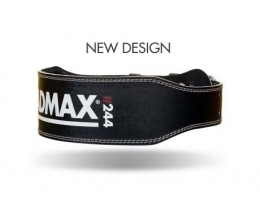 The belt is equipped with comfortable padding that provides you with a very comfortable feeling during workout. The closure is provided with two pins and a leather ring to secure the free end. D-Ring: The front part of the belt is equipped with a "D" shaped ring for hanging additional weight.